Hi everyone! I hope you all had a wonderful holiday and now gearing for the New Year! I have been busy with preparing with the holidays and then the Noreaster rolled in. We were to head to FL the day after Christmas but my hubby and I decided that perhaps we should try to beat the storm and leave Christmas night. We did! It was crazy but we drove all night and made it! The worst part about this holiday is that my camera broke and we have not gotten a new one yet. We haven't decided on which one and of course it can be pretty pricey. With that said, I hope you will continue being patient until then for my projects to be posted. I will have a back log for sure! I wish you all a Happy and Prosperous New Year and all the best in 2011!! It's Thursday! Just one more day til Friday.... I hope you all have been having a great week so far! Mine has been busy with holiday party plannings and a holiday ball I am attending tonight. I will be happy when this week is over. Then it will be back to the "norm." 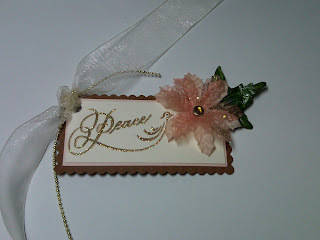 Today, I want to show you a tag I made with the new MFT Die-namic stamp and die combo set called Textile Rectangles. 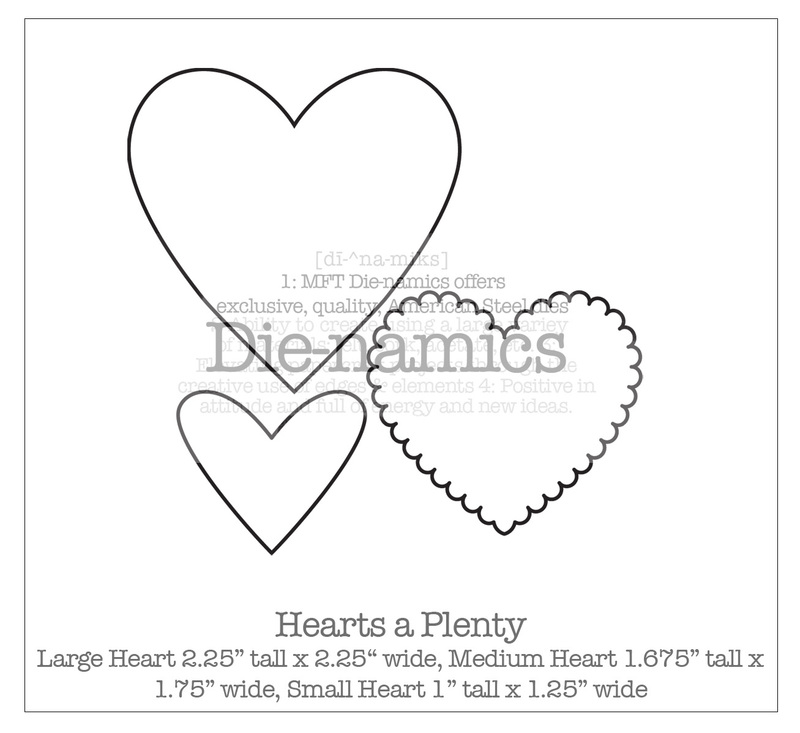 I love this shape die that I thought it would make a cute tag. I used my Pure Innocence set called Merry Wishes and colored her in with Copics and Prisma pencils. 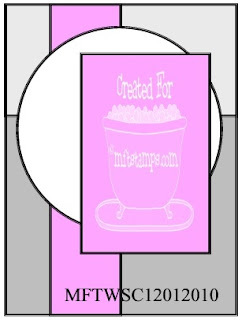 I used Basic Grey's Wassail dp for the background and the small strip along the bottom. I popped up the image and sentiment while the back says To: and From: I added a large eyelet and ribbon for the ties and finished off the tag with some crochet ribbon along the bottom. That about sums it up!! Thanks so much for stopping by!! Have a great day! Hello!! First off, I want to say thank you to everyone who stopped by last week and left me some love here during the MFT release and sneak peeks! It is appreciated! 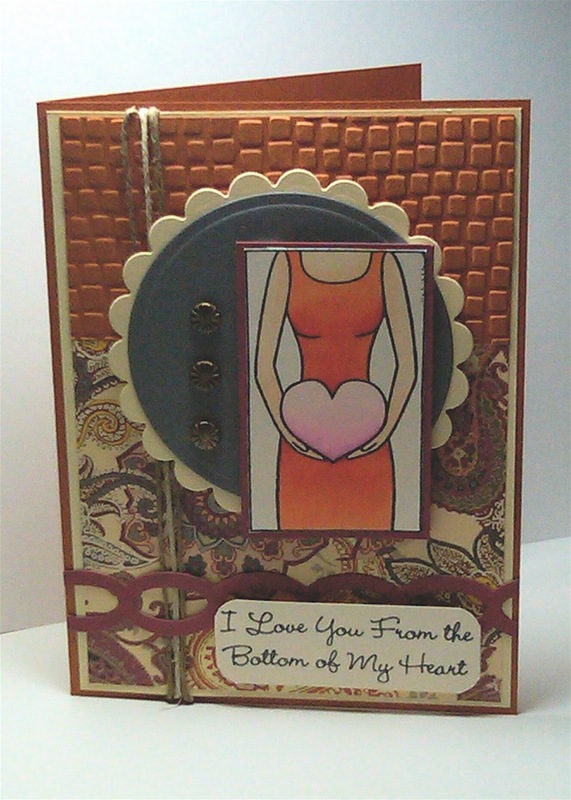 Today I am sharing with you a card made with MFT's new release of WTG called Bottom of my heart using this week's WSC sketch. It's a great sketch so we hope you play along! I used some dp and cs from Paper Studio while stamping and coloring the image on MFT's Perfect Panels. I ran the top panel through the CB and the scallop and circle are my Nesties. I colored in the image using Copics and used some twine as my long panel on the side. 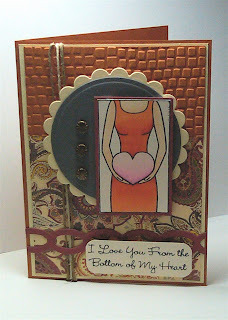 For an added look, I used my MFT Die-namic Chain die for the bottom and popped up the image and sentiment. I finished the look with some metal embellishments. Thanks so much for stopping by today!! Have a wonderful day! Welcome to my blog!! You should have arrived here from Jen's blog. If not, start at Kim's Blog here and work your way through the list because you sure don't want to miss any amazing projects! Thank you Kim and Jody for asking me to play along this month. I had the BEST time!! 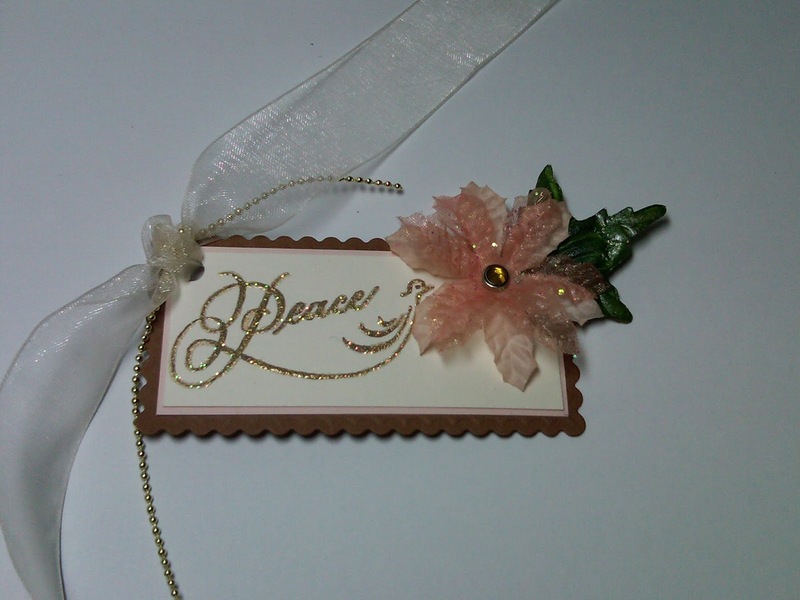 I am going to show you a card made with Acetate. Remember those?! I know it has been a long time since I have made one of these and I had so much fun doing it! They are just so neat to look at! LOL!! This one features Splish Splash from the Pure Innocence line. Isn't he just so darn cute?! I stamped him on MFT Perfect Panels with Momento Ink and colored him with Copics. I then added some rub on's from Imaginise for the raindrops and sentiment. I also added some glaze on the water and drops with my Sakura Glaze pen and lightly added some crystal stickles along the top part of the puddle. This is the inside of the card. Like the front, I used my nesties to cut out all the circles and eyelet circles while stamping the dog on one side and the sentiment on the other. I then finished it off with some blue gingham ribbon. Such a great card to make!! Up next is KERRY Be sure to stop by check out her awesome creation, and when you are done hopping, be sure to stop by MFT and shop for your favorites this release!! Thanks so much for stopping by and leaving all your kind comments! I had so much fun playing along with the MFT gals!! * Teasers will run daily through Wednesday, December 1st. Be sure to check my blog at 11:00am for links to designers previewing each day. Every day there will be a prize hidden on two of the Creative Team’s blog posts. Leaving a comment on every designer’s blog post will give you the best chance of winning every day This month, each day, 2 winners (one from each prize blog) will be sent a $10 gift voucher! Be sure to check back on Kim's blog each day to see if you are one of the lucky winners! 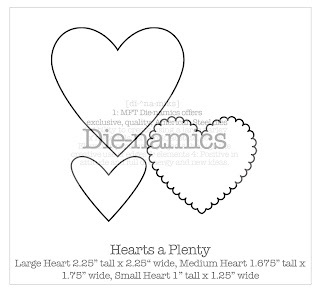 Today I am going to show you a card made with Clearly Sentimental about Love. These are perfect for everyday when you want to drop a little love to someone. For this, I used Kraft cs for my base and some Basic Grey Sultry and Two Scoops for the dp. The green was some scrap I had while the sentiment was stamped on MFT's Perfect Panels. I sponged around the edges to give it a softer look. I used the new MFT Die-namic Die called Hearts a plenty for the heart at the top finished off with a button from the MFT Scoop-o-Button's collection and some twine. I completed the card with some ribbon and self adhesive pearls. I hope you have enjoyed these 5 days of sneek peeks and we look forward to seeing you in the Forum tonight!! You sure don't want to miss it! Thanks so much for stopping by and leaving all your kind comments!! Have a fantastic day and be sure to check out the rest of the design teams projects!! WOW!! It has been so long since my last post! But it has also been so crazy at my house! Between my dh's return home, family in town, and then I left out of town, makes for a long time of not being crafty!! I have much catching up to do! Today I want to show you a creation for Amate Studios called Autumn Wreath. To make it, I used Amate Studios large gold round pendant and some gold wire to create the wreath. While wrapping around the wreath, I intertwined some Swarovski Crystals and small silk flowers throughout. Once the wreath was complete, I finished off some wire by curling them. I put a Nunn Design decal of a bird on the on the component so that it will show through the center. To complete it, I added some Lisa Pavelka resin and cured the wreath into the resin using my UV light. For the finished look, I added some fun fiber ribbon as the necklace which I finished off by wire wrapping the ends around the toggle to secure. I hope you enjoyed this fun little project! Thanks so much for stopping by and taking a peek!! Have a great Wednesday! !